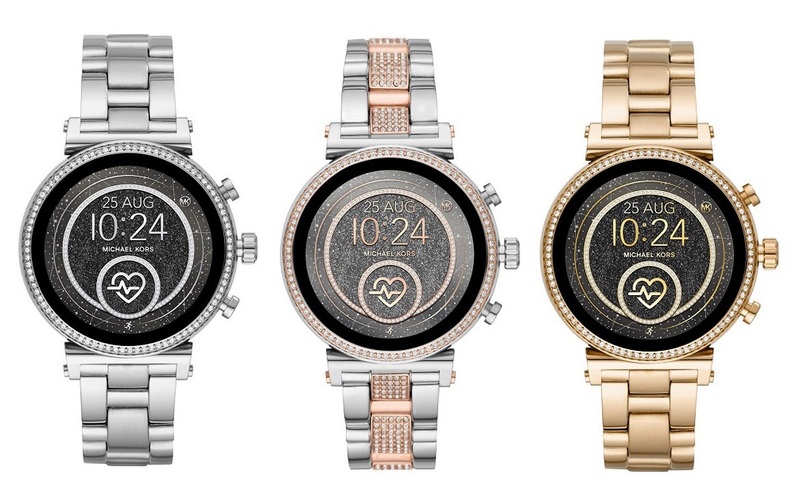 Michael Kors will launch its Access Sofie smartwatch with the latest version of Wear OS and new features. The second version of Access Sofie has a 44mm case modern glamour and a slim design with a luxe pavé-lined bezel. The Access Sofie 2.0 has a heart rate monitor that will run with Google Fit app. The updated smartwatch will have three buttons to help users to enable a shortcut to access Google Pay or any applications they want to open. The device will have NFC that will let users to use Google Pay. The smartwatch has a Snapdragon Wear 2100 processor that offers all the software skills. The Sofie 2.0 is supported by Google Assistant to give users access with just a voice command. It is compatible with both Android and iOS devices. The company will launch the Access Sofie 2.0 in summer this year with a price at £369 ($474.66). The available colors are stainless steel, silver-tone stainless steel, gold and rose gold.